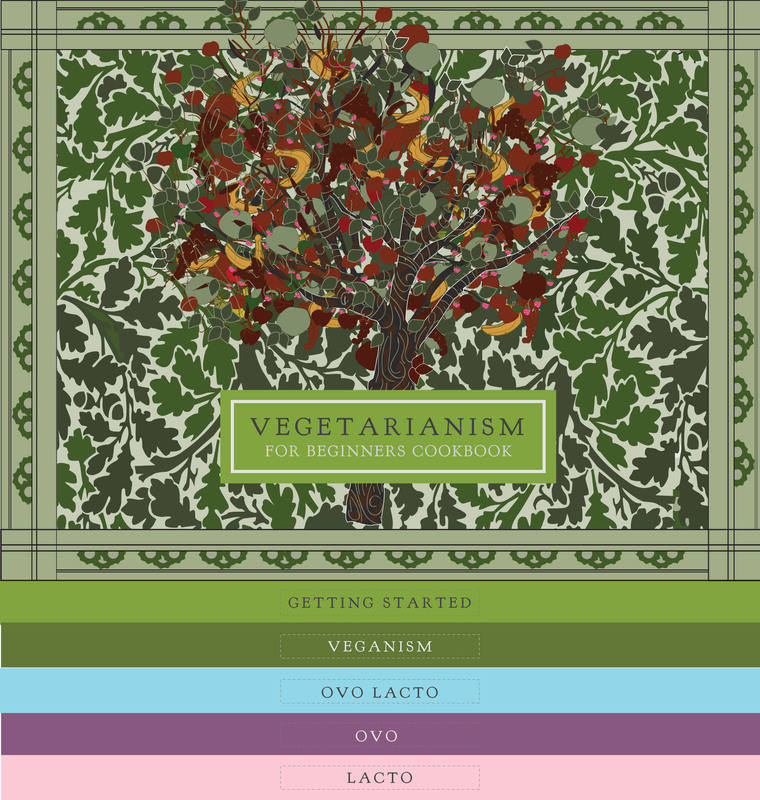 This project is composed of an informational collateral set which gives an overview on the various Kinds of vegetarianism. As this diet alternative continues to rise in popularity, it becomes more important to be subjectively informed. Below: Front folded view of the stacked brochure. 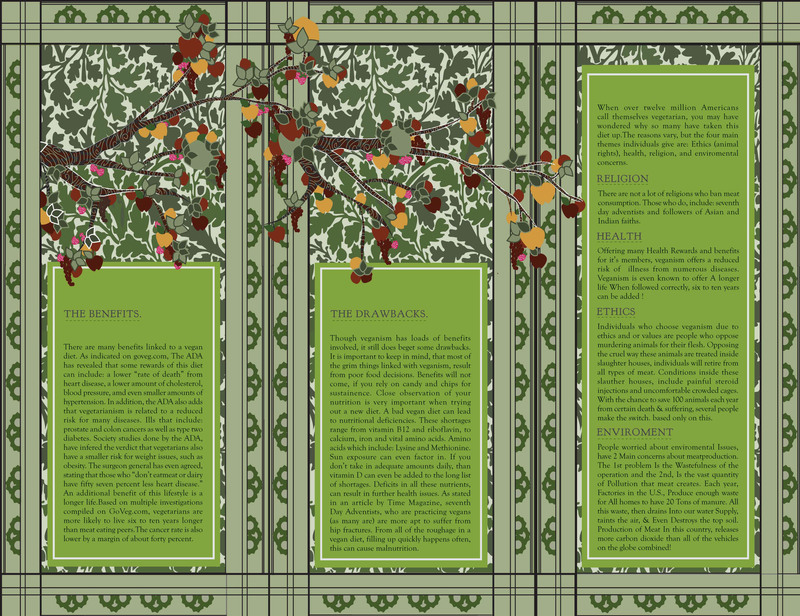 Below: Inside spread of the stacked brochure. 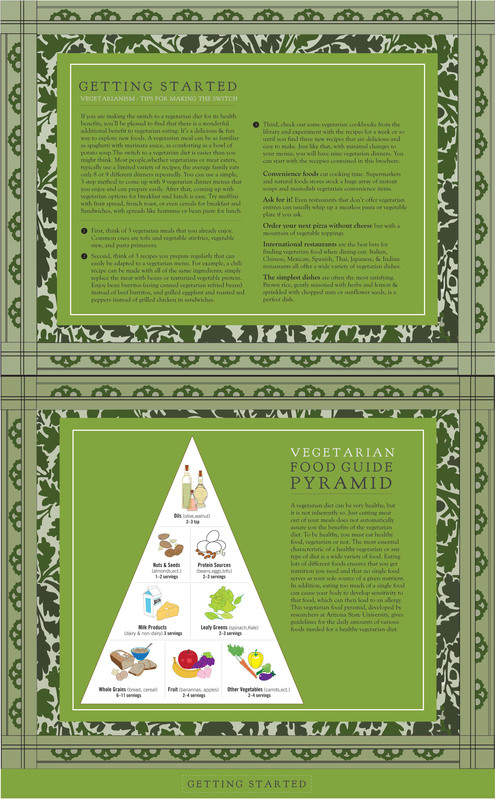 These pages feature a food guide pyramid and some information on getting started with vegetarianism. 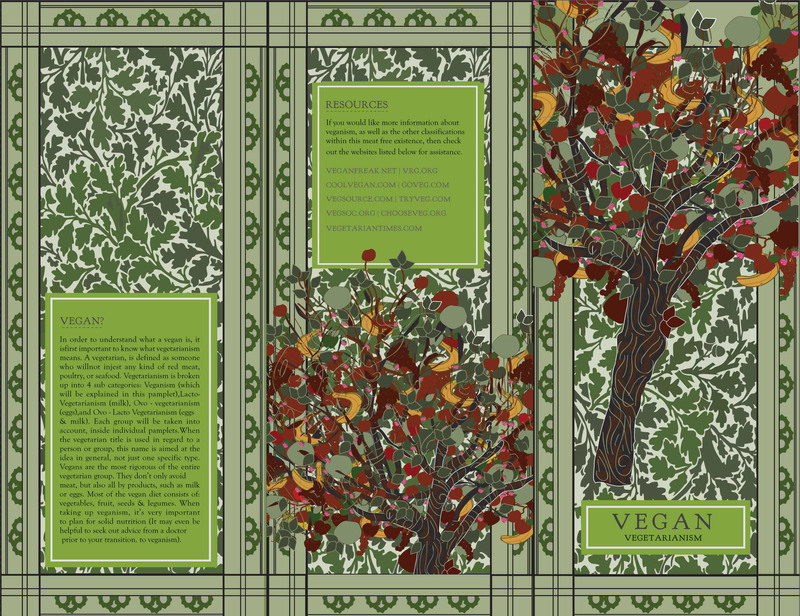 The rest of the spreads give information about each kind of vegetarian. of age. 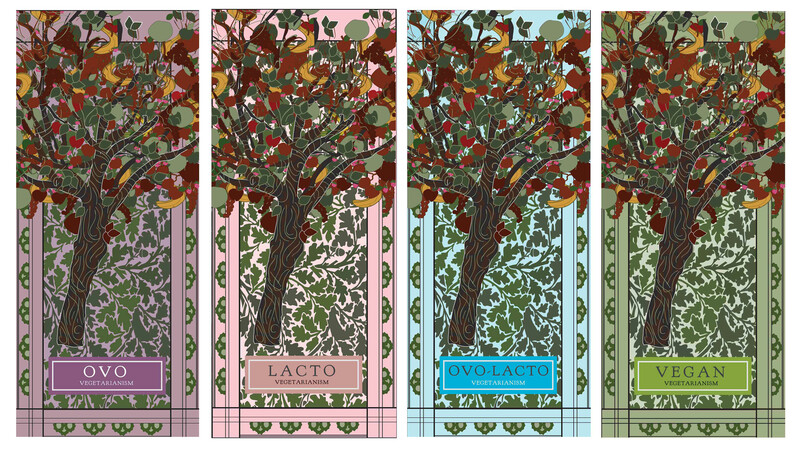 The aesthetic that I used here was inspired by the Arts and Crafts and/or Art Nouveau movements. 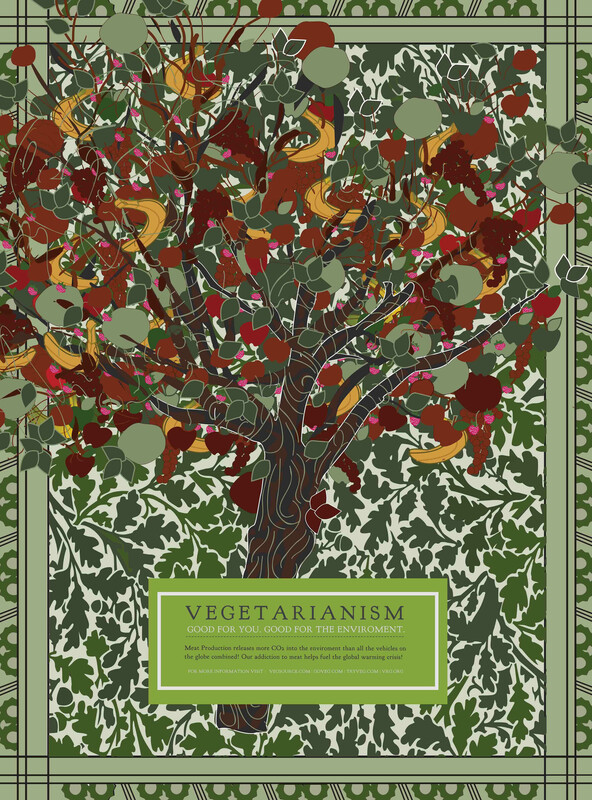 between the vegetarianism types. The typeface used on these pieces is Goudy Old style. All Work © Christa Wilson 2016. Please do not reproduce without the expressed written consent of Christa Wilson.